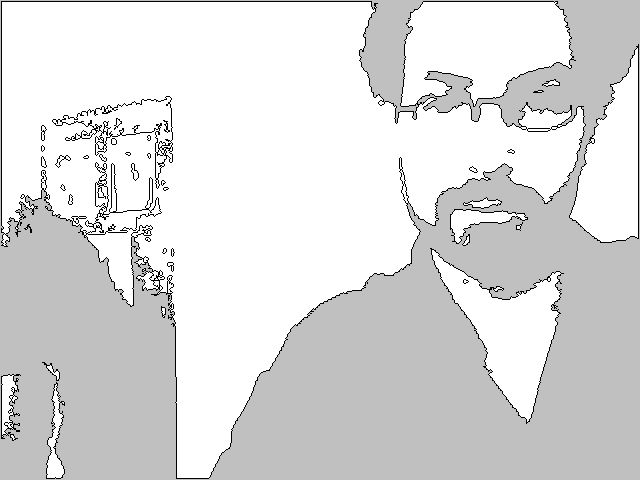 This function looks for contours within the image, returning a list of Blob objects. When searching for blobs, you must define the minimum and maximum size in pixels. For example, if you want to limit blobs to no larger than half the Region Of Interest, pass (width * height) / 2 for the maxArea. Blobs are returned in order from largest to smallest. The optional maxVertices parameter, allows you to increase the overall number of points defining the contour of the blob. Use this parameter if for some reason your blob shapes are incomplete. Augementing this parameter can affect performance. Careful! This function will damage the current buffered image while searching for contours. If you want to do any subsequent work with this image, you will need to call the restore() method after this one.